Discussion in 'General Attire & Accoutrements' started by Robert C, Feb 3, 2006. 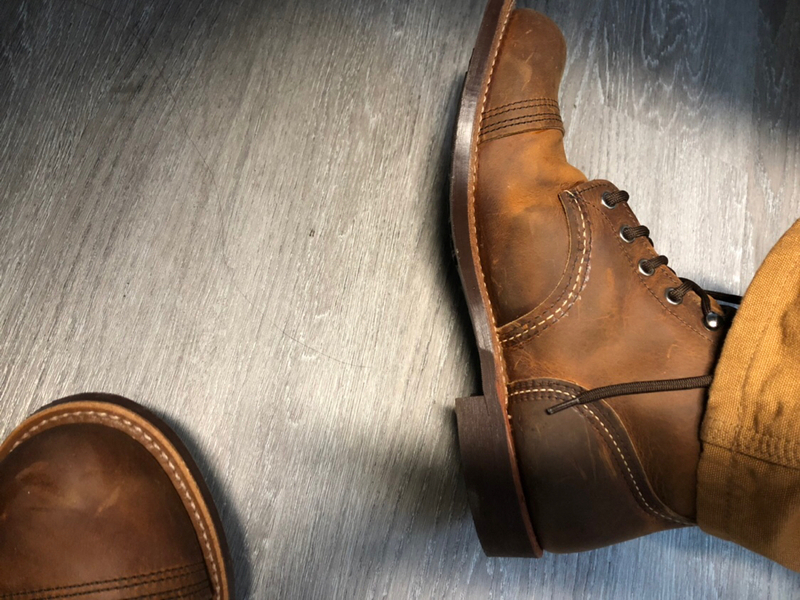 I’m interested in these, but Red Wing always has some abrasion one way or the other when new. The only pair with no hurting was the soft toe engineer. I tried on a pair of these in the store and seems fine but if you could tell me how they rub when new I’d appreciate it! in time, I have six pair. My Iron Rangers in Rough and Tough Copper had the least amount of breakin. They were almost perfect out of the box. I would try a pair of these. 50s brown combat boots getting some wear time today. I quite like these. Are they original or repro? Because if repro I may have to get my hands on some. Obviously if original might be a little harder to rack down haha. Were never laced. Laces have the metal ends on them. I thought they would be extremely uncomfortable but i’m amazed how good they feel. They were quite a find i believe. Short Balding Guy and BobHufford like this. johnnycanuck, tropicalbob, Bfd70 and 7 others like this. Short Balding Guy, johnnycanuck, tropicalbob and 3 others like this. 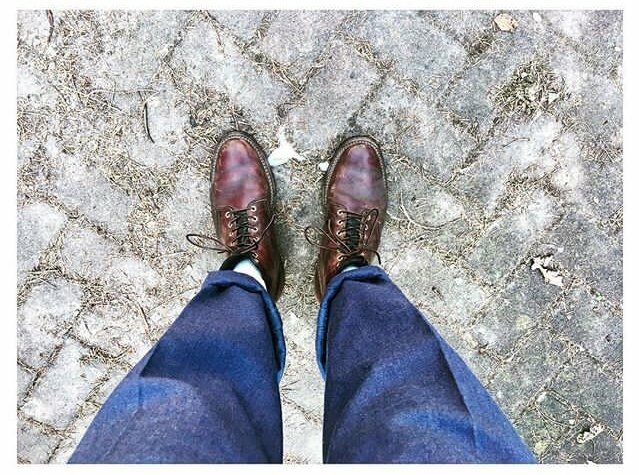 I had replied to a member asking for advice on non denim pants to wear with engineer boots. I told him to just check your posts! A-1 and AbbaDatDeHat like this. 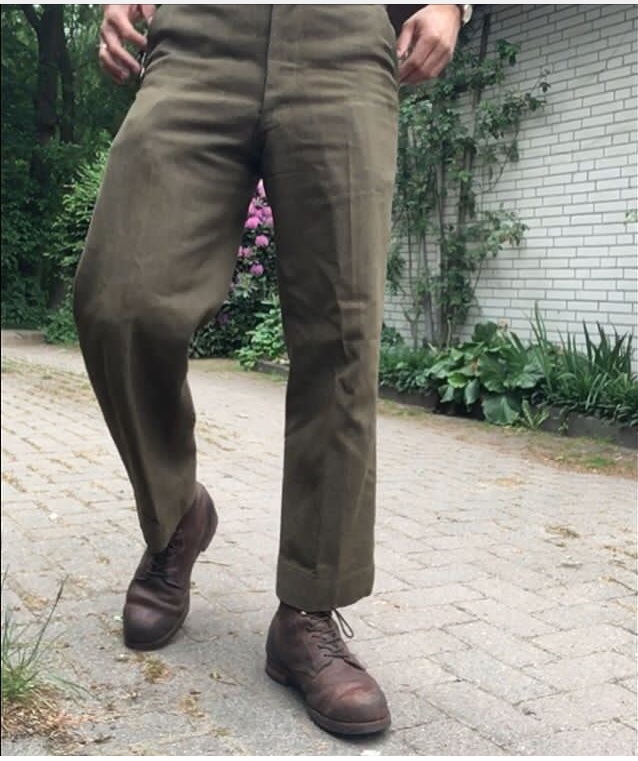 I used to wear raw denim only for a few years but these vintage pants are so much better in every regard. They’re more durable, more comfortable and more breathable. And I like the looks of them. I don’t think I can ever go back to slim fit, low rise denim. Haha. View attachment 139189 Iron Ranger 8111 Amber Harness. Have worn 5 days a week for 8 years. One resole. No pun intended, but these truly wear like iron. 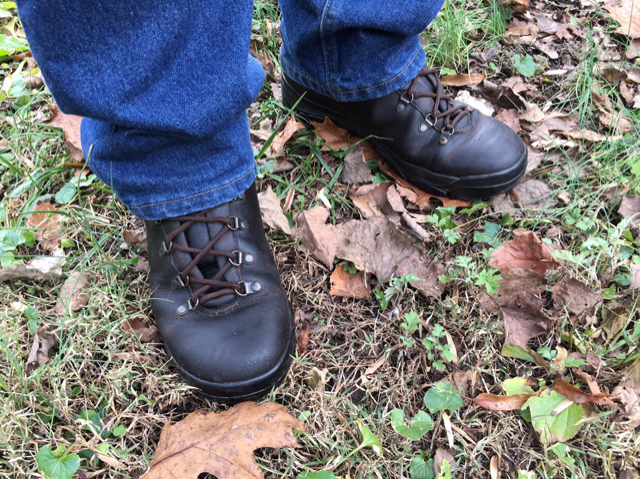 My black Iron Rangers are going on 5 years of very steady use, and I agree, even the cork sole wears like Iron! Took a few weeks to get fully broken in, but after that, smooth sailing! before and after. resurrected a pair of thorogood roofers I scored used. I have done four pair of these, and two pair of chippewa bridgeman. you can get this boot as an 814-4233 or 814-6233 and thats off the top of my head. theyre exclusive to midwest boots at the moment, and they have at least one version with weinbrenners max wedge in black. these are siedel leather. 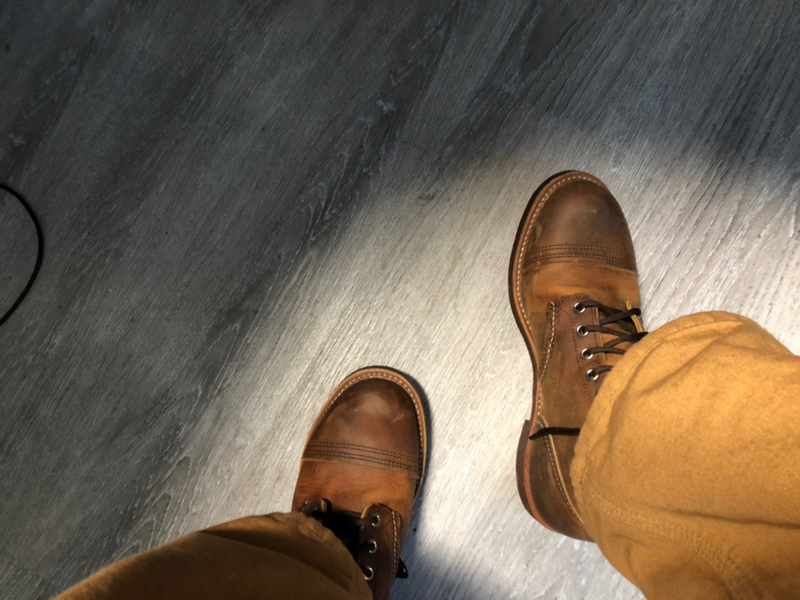 the heritage collection portage series ones come with cork nitrile full sole, and get made with horween and they only did a small run on some that were horween horsehide. 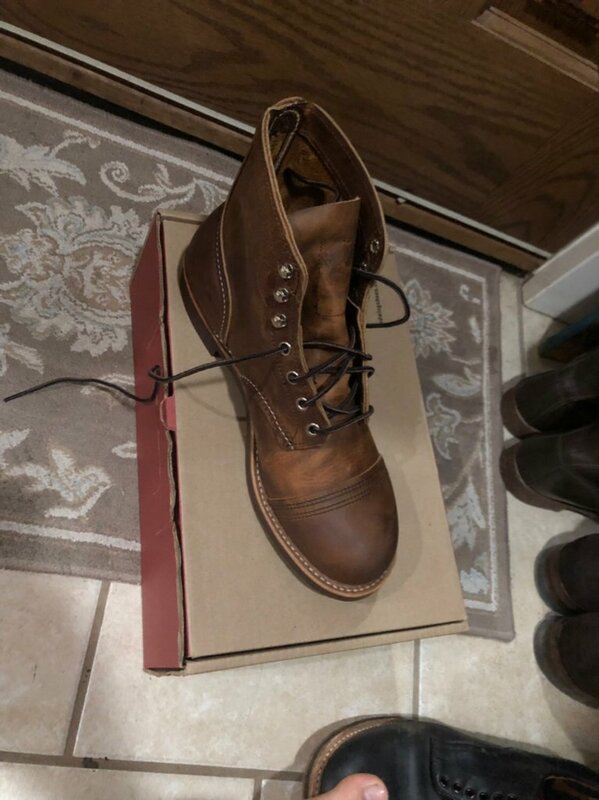 you can also score weinbrenner roofers as duluth trading company, or wood n stream with various model numbers and minor changes maybe like... lacks the brass rivets, or has a much lighter (low density) outsole. Short Balding Guy, johnnycanuck, dh66 and 5 others like this. 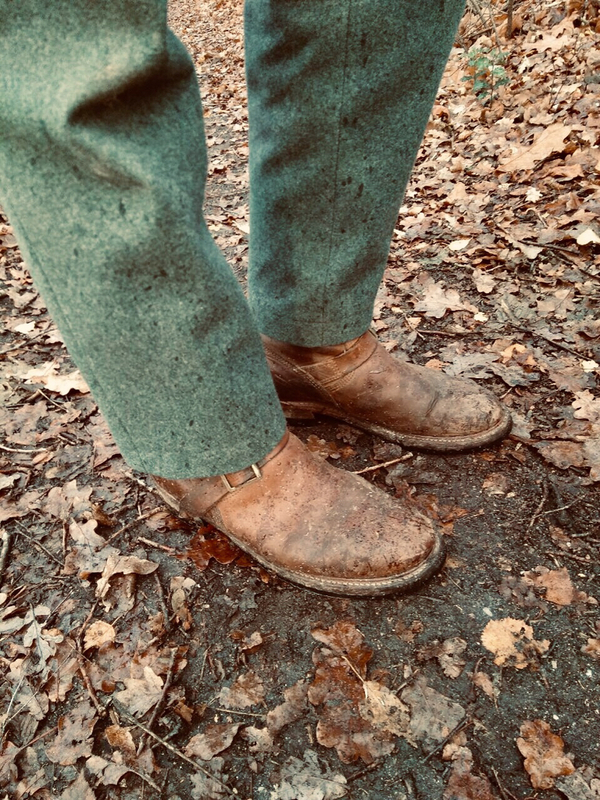 Great boots and trousers. Really nice to see you posting again. How's everything? Thanks! Everything's great actually! Enjoying the winter. Hope you're doing great as well! Short Balding Guy, johnnycanuck, BobHufford and 1 other person like this. How do you like them so far? The typical RW trial by fire lol. So far, there’s no weird bunching of extra leather anywhere, but the ball bone (?) on my right foot feels it’s grinding on wood when I walk. I’ve heard this complaint before, RW’s sole is a single leather with cork filling topped with Vibram rubber. Love the robustness of the construction and leather, factory lace is too short (always). Otherwise good! DaveProc and johnnycanuck like this. Love my IR. Broke in surprisingly fast for RW. I mandated a several block walk every evening for about two weeks amd that did the trick. I am in the midst of the same process with some RW Engineers. Ouch city. I really like the Red Wing Blacksmith model which I have a few of. One pair in brown broke in within a couple days while a black pair in the Spitfire leather seemed to take months to break in. I'd stomp around the house wearing them a few hours a night indoors until they were good enough to be worn out and about for the day. Now they are fine. A pair of Beckmans I have in dark cherry also broke in instantly it seemed. My Beckman’s seem to have a wider toebox than my IR which made the process less torture. 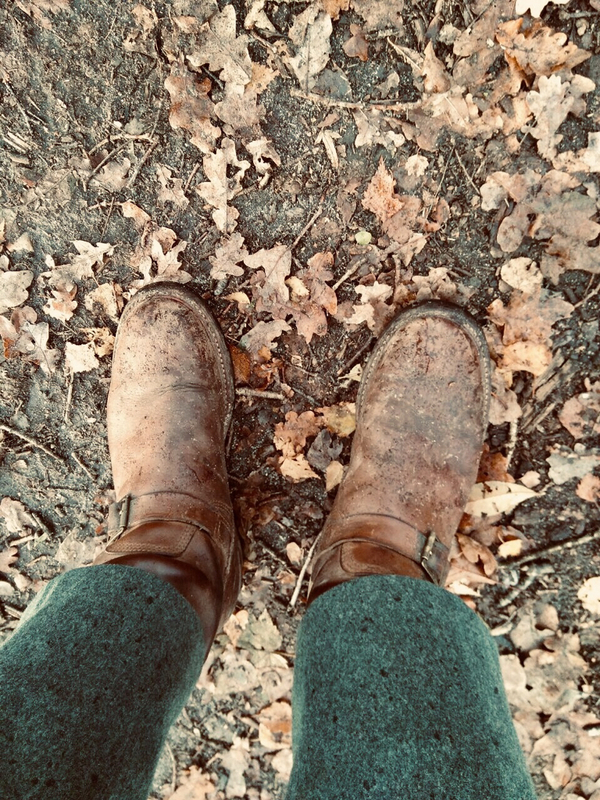 I like the IR but it seems like I only see people in these boots. They are like parents' Vans or Chuck Taylors. This kind of put me off and I sold mine. Comfy-wise I would never ever take weeks to break in a shoe and hurt my feet. It has to be comfy from day one which all my Vibergs, Whites, John Lofgrens were. Short Balding Guy likes this.